Late payments: A cultural issue for SMEs? 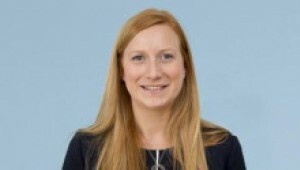 Solicitor, Faye Cook from our Corporate team speaks to Real Business about how SMEs in the UK are owed a staggering £26.3bn in overdue payments, with over half of those SMEs experiencing issues with late payment. Faye says, "There are steps SMEs can take to minimise cash flow problems, and avoid late payment becoming a major commercial issue. A large number of businesses have already taken steps to streamline the invoicing process. For example by implementing digital accounting software, enabling them to produce invoices quickly, and keep track of accounts which remain outstanding. Other businesses are taking a bolder approach and challenging the traditional models which dominate the supply chain finance market. The emergence of FinTech, which combines credit expertise with echnological innovation, has played an active role in promoting growth among businesses previously struggling to maintain cash flow. In addition to embracing modern technologies, there are many simple steps that SMEs can take to ensure that they get paid on time. In particular, it is crucial to have a robust commercial contract or set of trading terms and conditions (T&Cs), which are signed, or accepted electronically, before any goods or services are provided. This is key to combatting the late payment culture, as it provides certainty to all parties as to the agreed payment terms. Business should ensure that customers are presented with T&Cs at the earliest opportunity, which should cover key terms such as payment and penalties for late payments. The agreed T&Cs should also be presented for the customer’s agreement immediately before the contract is made, to ensure that there is minimal risk for ambiguity as to the final terms. In addition to ensuring that there is a clear commercial contract, businesses should ensure that they adequately assess the nature and risk before entering into contracts with their customers. Tips for doing so include carrying out credit checks on customers, purchasing credit insurance, reducing, or removing credit limits, and ensuring that there are sufficient penalties on late payments. Businesses should also have efficient and cost effective internal procedures in place to chase late payments. These simple steps, coupled with the security of a clear commercial contract can help minimise the risk of SMEs getting trapped in the late payment culture." The full article is available to read online and was first published by Real Business on 14 March 2017: Late payments: A cultural issue for SMEs?